1. Is the God of the Old Testament 'Nasty, Brutish and Capricious'? Dr David Instone-Brewer is a Senior Research Fellow at Tyndale House in Cambridge, interested in the historical background to the Bible. He is currently working mainly on resources for www.STEPBible.org He has a wife and two daughters to keep him grounded, and enjoys low-brow movies. 2. How has Islam dealt with Violent Scripture? Rev Stephen Agilinko is pastor of West Green Baptist Church in North London. He is married to Diana Apent and they have five children. He had served in one of the Churches of the Ghana Baptist Convention in his home country for nine years before he came to study for an M.A. in Religious Studies (specialising in Islam) at the University of Lancaster. 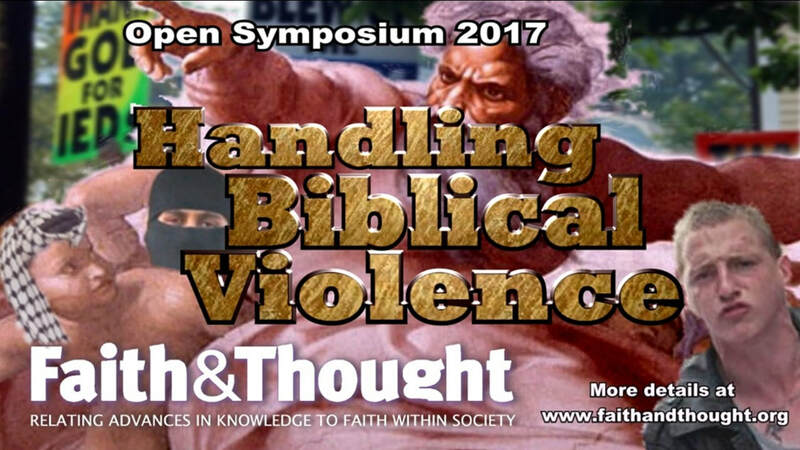 Divine Violence and Salvation – Dr Martyn Smith (considering the subjectivity of theological reflection and the wide-ranging accounts of biblical divine violence and its ramifications for Christian faith and practice. Dr Martyn Smith followed an unconventional route to faith, converting in rather extraordinary circumstances. He is married with four children and teaches Philosophy, Ethics and Religious Studies at a secondary school/sixth-form centre in Rutland.